Nikki Grimes has done it again. 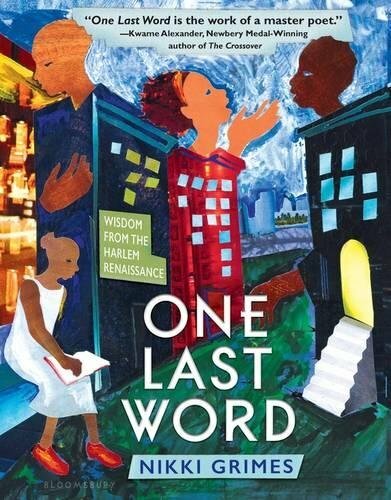 Her new book, One Last Word, finds inspiration from poets of the Harlem Renaissance. The form Nikki Grimes used to create her latest book is called the Golden Shovel. To start, you need a line from a story, poem, or words in a song. The words are so striking, that you have to reread, sing, or write them down. Write the words in the right margin in order. These words become your ending words. My new idea using the golden shovel. her stained glass beauty camouflages her. mystery to birds, so little. One with the light, you are clearly snuggish. Your challenge is to find a striking line. Use your golden shovel. Please share your new creations in the comments. Happy digging. What a fun way to write a poem! I'm going to try it today. Thanks for the inspiration! Such a fun way to dig in this summer! Thanks, Janie! Oh, I have got to give this a whirl! I love how poets play with language, transforming one image into something completely different. Not a poet, but I'm willing to give this a go. 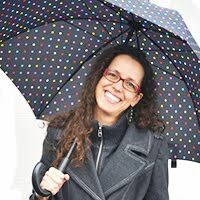 Thank you for sharing this unique technique, Janie :) You always inspire! Thank you , Charlotte 😊 Have fun! I love finding new forms. 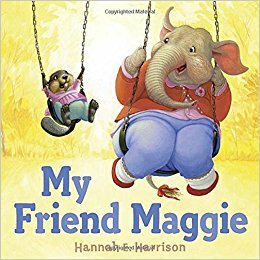 And My Friend Maggie is a wonderful book to choose from. I tried one! Not perfect, but fun and a great writing exercise. I used YOU NEST HERE WITH ME, and I used the title (which is also words in the story). I love to play with YOU. Let's build a blankie NEST. Warm cocoa, you and ME. And this lovely book is by Jane Yolen and Heidi E.Y. Stemple! Angie, I love it❤️ I always make nests out of blankets with my grandchildren. "Whose head was filled with all the curiosities of the world." was writing in my sweet oblivious sleep. Damon, Wow❤️ "Cold young Poet" , "away, away, so many years away", - amazing. Candace, fabulous image❤️ The title grabbed me. Especially drawn to the line-mother's jewelry in a box of silver. Thank you.